E – Carletti Fla; Calosi Marti; Martini Virg; Bassi Chiara. DP – Collecchio 1. LOB – Sestese 2; Collecchio 7. 2B – Zavaroni Ale. HBP – Colonna Ales. SB – Lori Arianna. CS – Carletti Fla; Fabbri Claud; Lori Arianna. Reached on CI – Bassi Chiara. Sestese 1st – Benvenuti Ga grounded out to p. Baule Federi struck out looking. Carletti Fla walked. Baroncini Az struck out looking. 0 runs, 0 hits, 0 errors, 1 LOB. Labadini Collecchio 1st – Bassi Chiara grounded out to 2b. Chiesa Elena struck out swinging. Zavaroni Ale walked. Fattori Giul grounded out to 2b. 0 runs, 0 hits, 0 errors, 1 LOB. Sestese 2nd – Ceccanti Mar flied out to 2b. Fabbri Claud struck out swinging. Calosi Marti fouled out to c. 0 runs, 0 hits, 0 errors, 0 LOB. Labadini Collecchio 2nd – Tagliavini F struck out swinging, out at first c to 1b. Ravanetti Gi grounded out to 1b unassisted. Colonna Ales hit by pitch. Melegari Ale struck out swinging. 0 runs, 0 hits, 0 errors, 1 LOB. Sestese 3rd – Sestini Carl struck out swinging. Sassoli Gabr struck out swinging. Benvenuti Ga grounded out to p. 0 runs, 0 hits, 0 errors, 0 LOB. 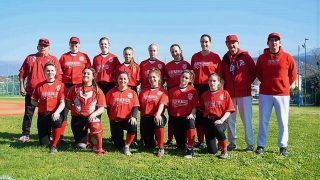 Labadini Collecchio 3rd – Lori Arianna struck out swinging. Bassi Chiara grounded out to ss, bunt. Chiesa Elena struck out swinging. 0 runs, 0 hits, 0 errors, 0 LOB. 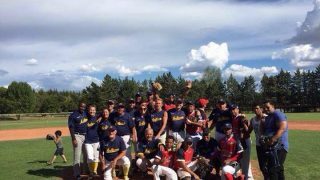 Sestese 4th – Baule Federi struck out swinging. Carletti Fla walked. Carletti Fla out at second c to ss, caught stealing. Baroncini Az grounded out to ss. 0 runs, 0 hits, 0 errors, 0 LOB. Labadini Collecchio 4th – Zavaroni Ale doubled to center field. Ferrari Clau pinch ran for Zavaroni Ale. Fattori Giul flied out to ss. Ferrari Clau advanced to third on a passed ball. Tagliavini F struck out looking. Ravanetti Gi singled up the middle, RBI; Ferrari Clau scored, unearned. Colonna Ales struck out swinging. 1 run, 2 hits, 0 errors, 1 LOB. Sestese 5th – Zavaroni Ale to p for Ferrari Clau. Ceccanti Mar lined out to p. Fabbri Claud singled down the lf line. Fabbri Claud out at second c to ss, caught stealing. Calosi Marti grounded out to 2b. 0 runs, 1 hit, 0 errors, 0 LOB. Labadini Collecchio 5th – Melegari Ale struck out looking. defensive conference. Lori Arianna singled to third base. Lori Arianna stole second. Bassi Chiara reached on catcher’s interference. Chiesa Elena struck out looking. Bassi Chiara advanced to second on the error; Lori Arianna advanced to third on a muffed throw by 3b, caught stealing, assist by c. Zavaroni Ale walked. Fattori Giul reached on a fielder’s choice; Zavaroni Ale out at second 2b unassisted. 0 runs, 1 hit, 2 errors, 3 LOB. Sestese 6th – Sestini Carl lined out to p. Martini Virg pinch hit for Sassoli Gabr. Martini Virg fouled out to c. Benvenuti Ga reached on a fielding error by ss. Baule Federi struck out swinging. 0 runs, 0 hits, 1 error, 1 LOB. Labadini Collecchio 6th – Benvenuti Ga to lf. Fabbri Claud to p. Martini Virg to rf. Signoriello to 2b for Papucci Mara. Tagliavini F singled through the right side, scored on a fielding error by rf. Ravanetti Gi grounded out to 2b. Colonna Ales grounded out to p. Melegari Ale singled to center field. Melegari Ale advanced to second on a wild pitch. Lori Arianna flied out to cf. 1 run, 2 hits, 1 error, 1 LOB. Sestese 7th – Scarnacasacc to 1b for Tagliavini F. Carletti Fla struck out swinging. Baroncini Az struck out swinging, reached first on a wild pitch. DiGiulio Ila pinch hit for Ceccanti Mar. DiGiulio Ila flied into double play ss to 1b; Baroncini Az out on the play. 0 runs, 0 hits, 0 errors, 0 LOB.